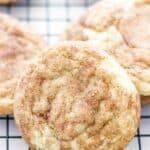 These are the BEST Snickerdoodles I’ve ever had!! Perfectly soft and chewy in the middle and crisp on the edges. 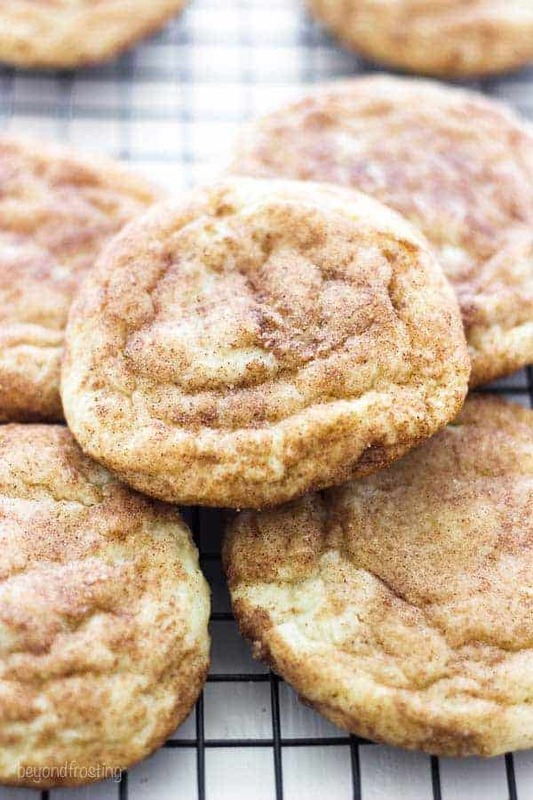 A buttery sugar cookie rolled in cinnamon and sugar. 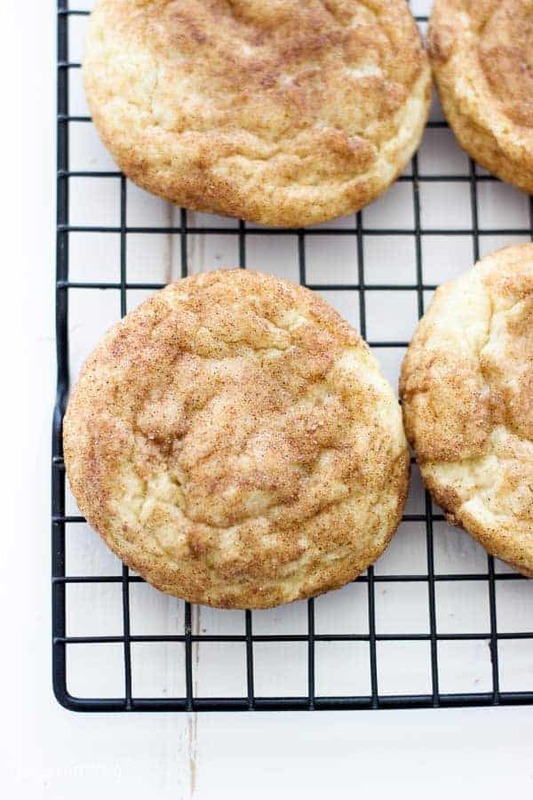 This will be your go-to Snickerdoodle Cookie Recipe. 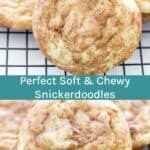 Since I first made these Perfect Soft and Chewy Snickerdoodle Cookies, I’ve become completely obsessed with the recipe. It’s one of my go-to recipes anytime I need to bring something to work or to a party. They’re so easy! While a “perfect cookie” is somewhat subjective, I hope we can all agree that soft and chewy is a must-have when it comes to cookies. I prefer a butter cookie that just melts in your mouth. I also love when they are a little crisper on the edges and soft in the middle, maybe even slightly underdone. Also I prefer a thicker cookies because nobody’s got time for pancake-like cookies. This base recipe is very adaptable. In fact, I have started to call this my Master Soft and Chewy Cookie recipe. 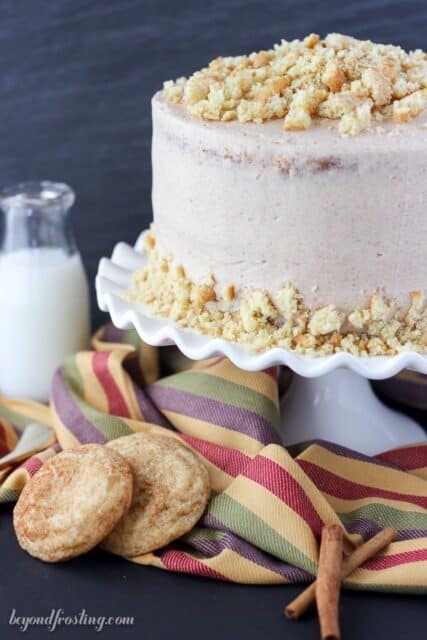 With this base recipe I’ve created over 12 variations of cookies! My other favorite one to make is my soft and chewy MnM cookies! 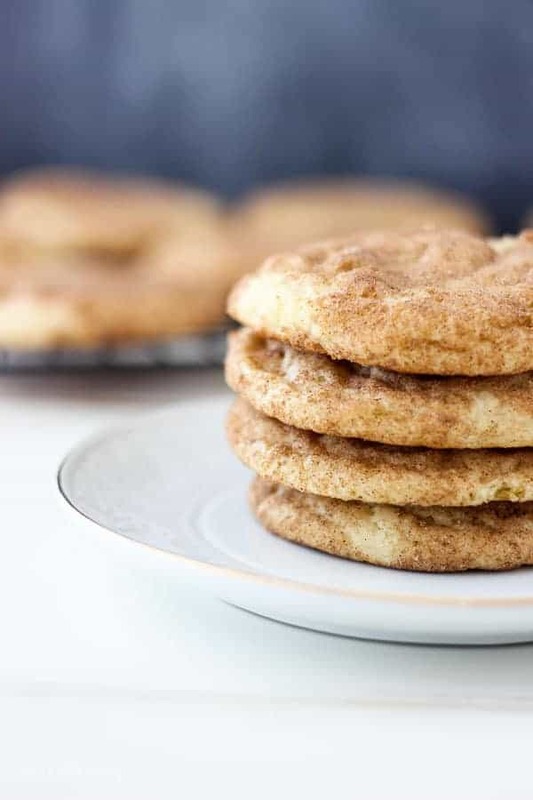 When I first started dating my boyfriend (now husband), he told me about this amazing snickerdoodle recipe that his mom made; she had got it from her friend. The first time I made them, I was nervous and hopeful they would be the same as his mom made; the ones he loved. Of course they weren’t the same. Some spread too thin, and some were too puffy. Over the years, I’ve perfected the method to get the perfect cookie every time. The other problem is that he absolutely loves Krusteaz Snickerdoodles and would just as soon make a box of those than make them from scratch. At least he can make them on his own, so I don’t have to do it- HA! He even tolerates cracking his own egg. I won’t elaborate on that. I actually love them as well. Although, when we do have a box of Krusteaz at least he makes them all on his own! Except he doesn’t like to crack eggs. It’s bananas. Start with cold butter. I like to slice it into 1 tablespoon size cubes. It takes longer to soften in the mixer, but warm butter makes the cookies spread too much. Beat the butter and sugar until its very light and fluffy, at least 2-3 minutes. Pre scoop the dough and roll it in the cinnamon sugar mixture prior to refrigerating the dough. I also choose to use a large cookie scoop (about 3 tablespoons) because I like a big cookie. This will yield about 24 cookies per recipe. If you use a medium sized cookie scoop, you’ll get closer to 36 cookies. You’ll definitely want to bake the cookies on a Silpat or some other type of silicone baking sheet. This helps prevent the bottom from burning and the added layer also helps the cookies from spreading. Do I have to refrigerate the cookie dough? Yes. This is necessary evil, there’s no way around it. Refrigerating the dough allows time for the butter to solidify again, which in turns, prevent the cookies from baking like flat pancakes. I’ve found that 30 minutes really isn’t enough. You need at least 45-60 minutes of chill time. This is the perfect cookie to prepare the night before because you can absolutely refrigerate overnight and bake the next day. If your dough has been in the refrigerator for longer than 2 hours, allow them to sit at room temperature for 10-15 minutes before baking. What can be used as a substitute for cream of tartar? From what I’ve read, there isn’t a great substitute. Cream of tartar is what helps make a soft and chewy, tangy cookie because the cream of tartar prevents the sugar from crystalizing. I’ve read that you can use lemon juice or white vinegar, but I have not tried it myself. It’s just something I always keep on hand because I use this base recipe quite often. If you’d like to learn more about cream of tartar, I found this article from All Recipes to be helpful. These cookies are pretty stable and they are GREAT for shipping at Christmas time or any other time of the year! 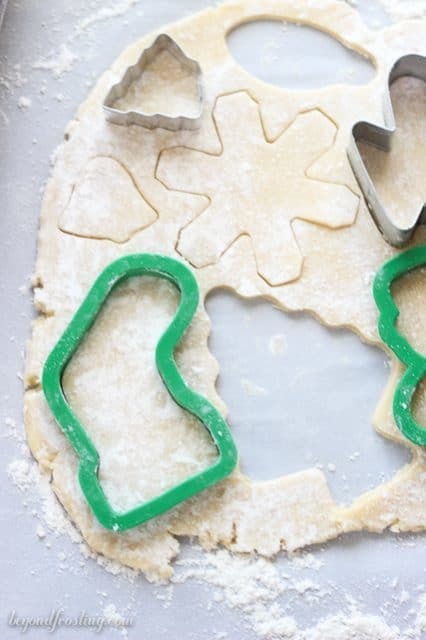 If you’re looking for more ideas on cookies that a good for shipping, I’ve definitely got you covered. 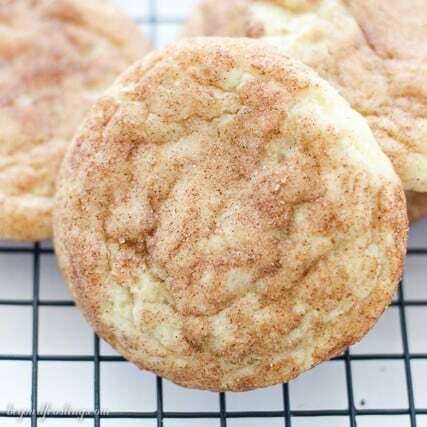 These are the BEST Snickerdoodles ever!! Perfectly soft and chewy in the middle and crisp on the edges. 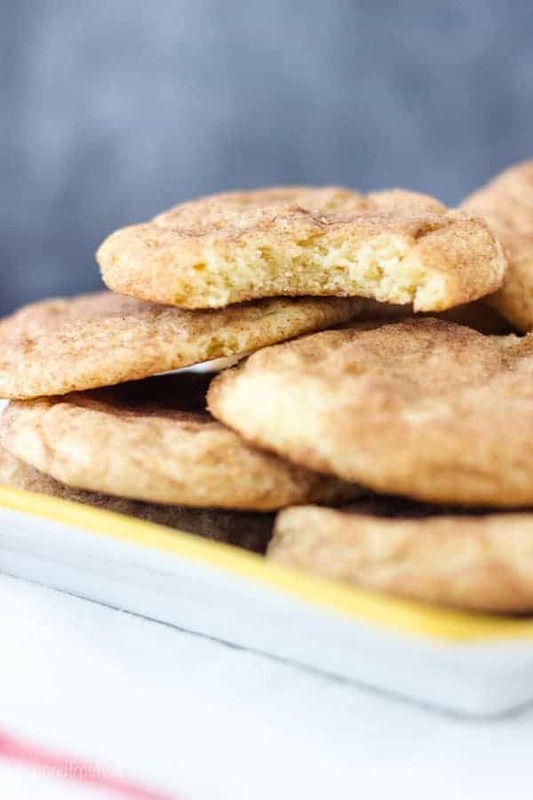 A buttery sugar cookie rolled in cinnamon and sugar. In your stand mixer, combine the butter with the sugar and beat on medium speed until well creamed together. Add the eggs and vanilla extract. Mix into the butter and sugar until the eggs are well beaten. In a separate bowl, combine the dry ingredients: flour, baking soda and cream of tartar. Slowly add into batter and beat on medium low speed until well combined and dough starts to form. In a small bowl, combined cinnamon and sugar and stir to combine. 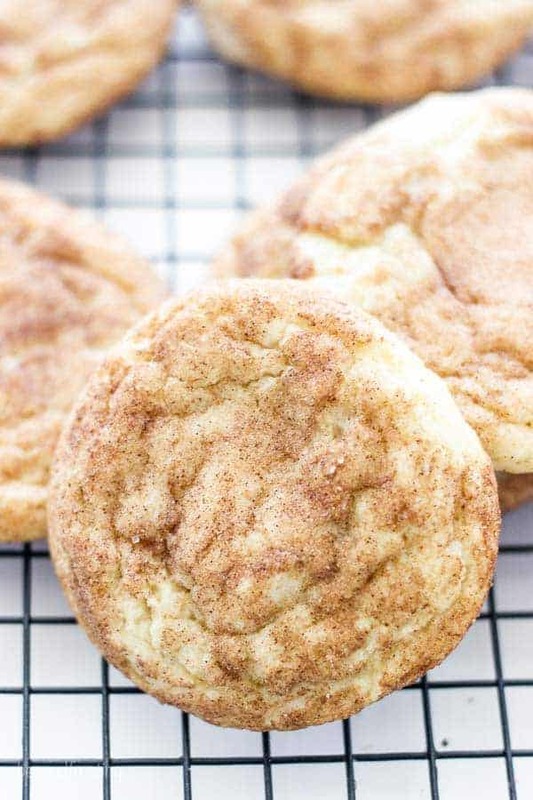 Use a large cookie scoop (3 tbsp) and scoop cookie dough into the cinnamon sugar mixutre. Roll around to coat the cookie. Bake at 350° F for 10-12 minutes. Allow cookie to cool on the baking sheet for several minutes and then transfer to a wire rack to cool completely. I am so sad! My snickerdoodles did not fluff up at all. They are flat and just not pretty at all! I followed the recipe to a t. Someone told me I should have sifted the flower. Is this true? Hi Selena, no need to sift the flour. But please note this is not a fully cookie recipe. These are flat and chewy. The cookie dough rises and as it sets it creates those nice ripples throughout as the center stay soft and chewy. My cookies are resting in the fridge, however I had a major baker freak out…. is there really no salt in this recipe?? These are exactly how I like them! I did cook them 14 minutes because they didn’t look ready earlier. Perfect Sharman!! I hope you liked them! I don’t have room in my fridge to roll the cookies before chilling the dough. Would it work to chill in a bowl overnight, let them adjust 10 minutes or so after taking it out, and using a cookie scoop to make balls and roll in the cinnamon sugar? 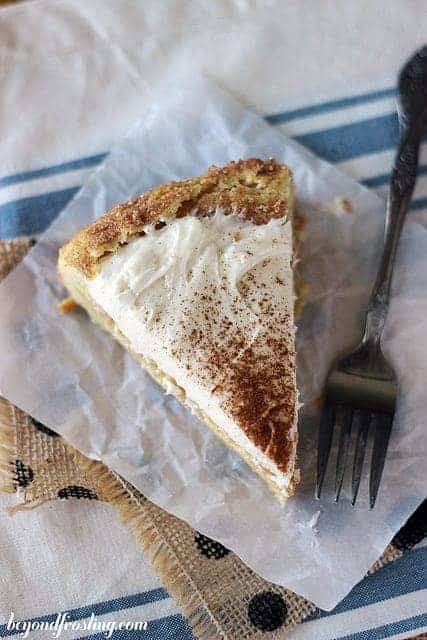 Would it help the flavor to add some cinnamon sugar to the dough? Or just some cinnamon? If you could also respond by email, that would be very helpful. Thanks so much. Could you pre scoop the dough into a container instead of laying them on a sheet tray? The dough will be quite difficult to scoop once it’s cold. 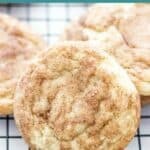 Personally I just rolling them in the cinnamon sugar but more cinnamon can’t be a bad thing! Before I refrigerate the cookies do I roll them in the cinnamon and sugar or can I do it after I refrigerate them over night? Hi Roxxy, I usually do it before so the cinnamon sugar sticks better! Hi Ashley, yes you can, but the dough gets very hard. So it’s important to pre-scoop the dough into balls and then store in an air tight container. You’ll also want to allow them to rest at room temperature for about 10-15 minutes before baking.